Participants in this workshop will acquire the knowledge and skills needed to gain employment as a tree planter. This seminar is customized for seedling planting on cutover reforestation sites. Multi-media presentations and handouts illustrate industrial site preparation, common seedling planting errors, proper seedling planting techniques, snow caching seedlings, fundamentals of forest regeneration, equipment, tools, first aid, etc. 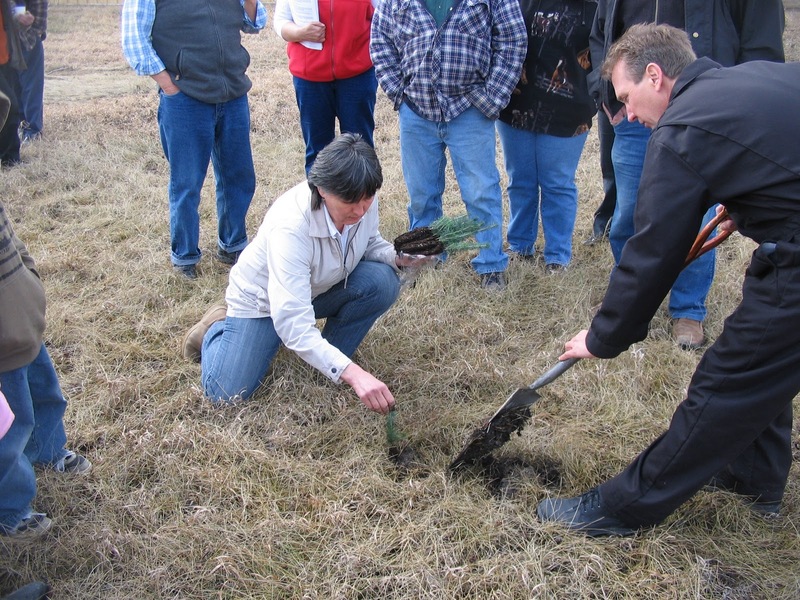 Hands-on training and educational videos reinforce proper tree planting methods. This training workshop has a classroom session and an outdoor hands-on field session. The afternoon outdoor session requires that participants plant numerous seedlings in an outdoor environment. Spruce seedlings and planting shovels are provided. Planting is done under the direct supervision of the workshop instructor, Ken Fosty, who has 39 years of tree planting experience. Certificates of Achievement are awarded to participants. Seminars are all-inclusive. All of the materials, seedlings, planting spades, props, equipment and take-home handout material are supplied.